The heart beats throughout life to circulate blood across the entire body. There may be some variation in the heartbeat from time to time. Sometimes it may beat faster whereas at other times it may be slower. This is not always an abnormal heartbeat if it is temporary and occurs under certain circumstances. For example the heartbeat may be faster than normal when exercising and slower than normal when sleeping. However, there are several different problems that can affect the heartbeat. These problems can be broadly categorized as a heartbeat that is too fast, too slow or irregular. There are a host of different causes of these different types of abnormal heartbeat patterns. It can arise with damage to the heart but an abnormal heartbeat can also damage the heart if not corrected in time. The heart is a muscular pump. It has to take in blood coming from outside of the heart and then push it out to the rest of the body with force. This must be done at an optimal speed to ensure that oxygen-rich blood is distributed throughout the body to sustain life. The heart also has to maintain a certain rhythm to coordinate the inflow of blood, it distribution to the lungs and subsequent circulation to the rest of the body. If this rhythm is disturbed in any way then sufficient blood may not be able to enter the heart or be pushed out as required. This is referred to as a reduced cardiac output. While the speed and rhythm can be affected by nerve signals to the heart and hormones in the bloodstream, the heart has its own system to control the speed and rhythm. This system is controlled by the heart’s natural pacemaker known as the sinoatrial (SA) node. It generates electrical impulses that travel through the conduction system of the heart and ensures that certain chambers of the heart relax and contract at the right time. Right atrium relaxes to receives low oxygen blood from the body. Right atrium contracts to push the blood into the right ventricle that is in a relaxed state. 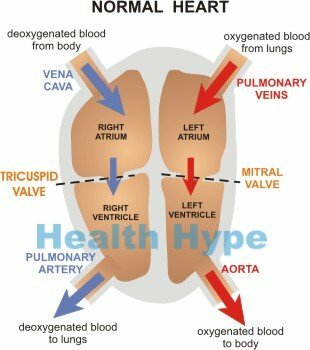 Right ventricle contracts to push blood to the lungs for oxygenation. Left atrium relaxes to receive oxygen-rich blood from the lungs. Left atrium contracts to push the blood into the left ventricle that is in a relaxed state. Left ventricle contracts to push out the oxygen-rich blood to the rest of the body. A normal heart rate should not exceed 100 beats per minute (bpm) although it may be temporarily elevated for short periods of time. A heartbeat that is too fast is known as tachycardia. It is important to note that the heart rate can vary and still be considered normal. For example, the heart rate may increase when physically active or emotionally stressed but this is usually a temporary rise in the heart rate. However, when the heart rate is elevated for prolonged periods even at rest then this may be an indication of a problem. The exact cause of tachycardia is not always known. These are some of the more likely causes of a very fast heartbeat. Various heart diseases, particularly where there is damage to the heart. Abnormalities in heart structure from birth (congenital heart defects). Medication, side effects of various drugs. The heart rate should not be slower than 60 beats per minute (bpm) although physically fit adults, like professional athletes, can have a very low resting heart rate. A heartbeat that is too slow is known as bradycardia. Slowing down of the heart rate can occur normally when a person is very relaxed or sleeping. However, there is a limit to how low the heart rate can be. If the heart rate is too low for too long, especially when a person is awake and active then it can be a sign of some underlying problem. Electrolyte imbalances, particularly of potassium and calcium. Medication, particularly drugs used for treating high blood pressure and other cardiac disorders. The heart beats in a coordinated manner to ensure that the chambers (atria and ventricles) relax and contract at the right time and in the correct sequence. An irregular heartbeat is known as arrhythmia. It is also sometimes referred to as a fluttering heart. This is where the rhythm of the heart is abnormal but arrhythmias can also refer to too fast or too slow heart rate under certain circumstances. An arrhythmia arises when there is some disturbance in the conduction of electrical signals in the heart. This hampers the coordination of contraction and relaxation of the different chambers of the heart. It can lead to death. Many of the causes of arrhythmias also overlap with the causes of tachycardia and bradycardia. There are a number of different types of arrhythmias. Some of the causes below are specific to only certain types of arrhythmias. 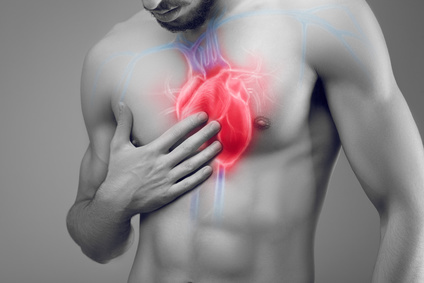 Heart attack, during the heart attack and even as a long term complication after a heart attack. Various heart diseases, like cardiomyopathy and coronary artery disease. Medication, including over-the-counter (OTC) drugs for colds, various heart disease drugs, certain nutritional and herbal supplements. Illicit drug use, for example cocaine.